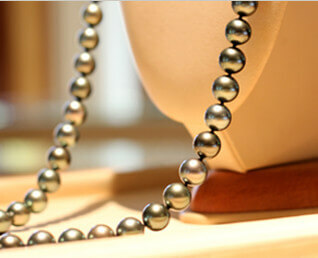 Like all cultured pearls, Tahitian pearls are meant to be worn and enjoyed. But they are delicate and require a certain degree of care to preserve their natural luster and beauty for generations to come. Pearls are the only organic gem and as such, are more delicate than other gemstones used in jewelry. Never use ultrasonic cleaners, steam cleaners or even the softest of brushes to clean your pearls. To safely clean your pearls, simply bathe them in water and wipe them dry with a lint-free cloth. 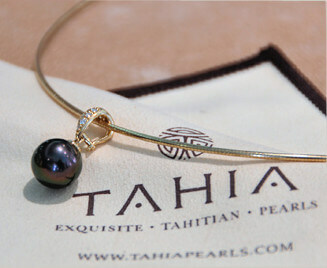 Your Tahia Exquisite Tahitian Pearls polishing cloth is specially designed to keep your pearls in dazzling condition. The lustrous surface of a pearl is softer than other gemstones and can be scratched by harder metal and gemstone jewelry. Store pearls separately from your other jewelry in a soft pouch or lined box or drawer. Pearls contain a fair amount of water. 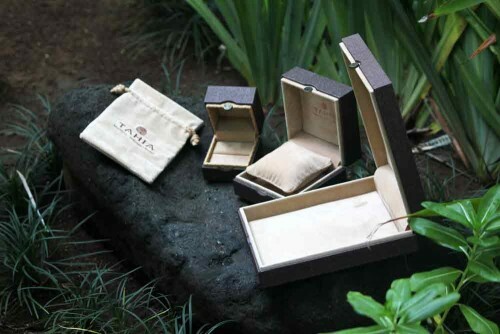 Storing them in a dry place (like a box placed in a safe or in an air conditioned compartment) will eventually cause them to lose their natural moisture and luster. Also, pearls should also be kept away from hot and dry environments. One of the best ways to keep your pearls looking beautiful is simply to wear them, as they will naturally absorb moisture from the air and from your skin.